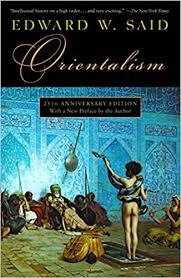 A well written book on the subject of Orientalism that the author cuts and slices through in an almost academic fashion. This book is oriented more towards analyzing the work and Europe-centric biases of past Orientalists who helped shape the opinion on nearly everything about the Near East (Middle East and North Africa) and Asia (South Asia in particular). However, the authors primary focus has been on the initial construct of Orientalism being a French and British attempt at analyzing the Near East and its dominant religion – Islam. The book is not an entertaining read but offers great perspectives to people interested in the history of Orientalism, especially from an analysis of political intent, mindset and European-approach standpoint. However, the book meanders sharply towards just the Middle Eastern affairs towards the end, offering less solutions but putting more questions into the mind of unbiased readers willing to learn from mistakes of the past. Missing any good commentary on India, the prized British colony, and considering it outside the Orientalism being scrutinized by the author seemed like a big miss. After all, Orientalism and the study of India within its remit was certainly the shift the Europe took after it considered the Near East as a mere passage to its riches by land and sea. These snippets (in italics) are something I consider as powerful and summarize the intent and message of the book. The fact that many Orientalists didn’t even reach the Orient to live there and see life as it unfolded among the natives is underlines by the above statement. European power and institutions never considered it as a shortcoming. In fact, the book highlights how Napolean built an entire military plan to take over Egypt through the recommendations in a book written by a traveler who chronicled how to win over the natives. Praising England while attacking her for being the “unconscious tool of history in bringing about that revolution…”, Marx certainly seemed to have two minds about what he was prophesizing in Communism when it came to people and regions that he didn’t relate to!? These words of Joseph Conrad was in mockery of European conquests. The book also lightly touches upon the “Christian-centric” approach to the rest of the World which was also instrumental in the simultaneous demonizing of Islam and its followers. But, the final summary of the book can be encapsulated in these words that the author mentions – “Orientalism failed to identify with human experience. It failed to also see it as human experience”. Needless to say, the author has been praised for his work but also attacked for a “biased” view on the Orient while attacking European hard work that went into creating the idea of Orientalism. While I generally align with the ideas in this book, I feel that Orientalism was a bold attempt at understanding foreign lands and peoples through the biased lens of self-made perspectives that are after all what makes us humans. The only unacceptable fact is that this was sold as the “truth” to the rest of the World and it still continues to subconsciously build opinions and biases that are uprooting this World as we speak. Our minds need to come a long way from the rigid insular uni-dimensional perspectives of Newton to the relativistic multi-dimensional world that Einstein imagined. Wisdom in books never age no matter when they were written. This book, written way back in the seventies, does enchant the reader with its treatment of subjects in modern physics as related to the quantum world and relativity. The highlight of the book obviously is the association of this abstract form of new-age physics with what the author found as fascinating – Eastern philosophies and mysticism. Presenting his motivation for writing this book almost as a vision he got about Shiva’s cosmic dance while sitting on a beach in California, the author goes deep into Tao, Zen, Confucianism and Hinduism just enough to bring the so-called “parallels” with modern physics. This book was fantastic in the effort it spent to show what was missing in the Western concepts of philosophy, science, thought and of course society. Everything seemed just about fine until the edition that I had also included future commentaries from the author fifteen years after the book got published and it became a huge universal hit. This was by far the reason why I am forced to give only three stars for the book. In a possibly unknown attempt at showing that his thinking has evolved, he has basically killed the very essence, meaning and purpose of the original intent of this book. Every book is just an expression of a thought or opinion and it is brave of an author to keep learning and refining his. But, the below thoughts of his go beyond that to almost trash the very idea of a heavily debatable and incomprehensible conceptual connect – Eastern mysticism and Modern Physics – that he so painstakingly put together and gained immense fame from. In selling another book of his whose credentials I am not so certain about, this is what he said – “…Moreover, I no longer believe that we can adopt Eastern spiritual traditions in the West without changing them in many important ways to adapt to our culture. My belief has been enforced by my encounters with many Eastern spiritual teachers who have been unable to understand some crucial aspects of the new paradigm that is now emerging in the West”. The above sentences suddenly made me realize the narrow-mindedness of the author in ways that shocked me, especially after reading a book that he wrote which talks about walking away from these very biased and closed world models that was the representation of classical physics vis-a-vis modern versions of quantum-relativistic concepts. While co-authoring a new book with a Christian monk who strongly represents Catholic values (which is not a problem and is not what shocks me), he has suddenly looked at his own work and trashed it mercilessly as nothing but absolute Orientalism nonsense attached to Modern Science to somehow sound serious. “…We can adopt Eastern spiritual traditions…” – where did he cover this in the Tao of Physics? “…changing them in many important ways to adapt to our culture…” – change them? to “adapt” to “our” culture?? what happened to the universal whole? “…My belief has been enforced by my encounters with many Eastern spiritual teachers who have been unable to understand some crucial aspects of the new paradigm…” – so you spoke to some teachers and who were they? your “belief” has been “enforced”? What was your belief? Someone was unable to understand “crucial aspects”? of a new paradigm? emerging in the West? which is nothing but social equality and looking at the ecosystem as a whole!? wow! This very moral high handedness, Orientalist fascination and falsification is what makes him and unfortunately very many great writers and speakers nothing but closet idiots posing as revolutionary change makers in this World. 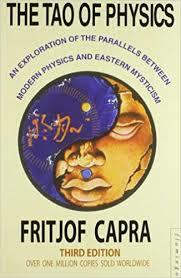 Fritjof Capra writes about risking his career and his future writing this book. Well, it looks like he had taken care of it ever since. The mind of a physicist still deserves stars and there go the three stars.